King Prawn Bhuna 23 Jan 2019 10:42 am said..
Can anyone that follows Hartpury give me an indication of the reason for their ills this season in the championship...they are becoming well detached at the bottom. Does the change from Hartpury College to Hartpury RFC indicate a more fundamental change in the club? Would be interested to know any views ...there's been a few interested conversations amongst the locals here in Coventry. Vennvenn 25 Jan 2019 13:03 pm said.. Combination of things, not least playing budget. Hartpury have the lowest by a country mile yet there are some clubs in the Championship who rightly realise that ring-fencing is either this year or next and they are making a desperate attempt to get promotion or get stuck where they are for X seasons. Being in Cov you'll be aware how they have invested big-time coming up from Div 1 last season not least in the coaching staff with Nick Walshe ex of this parish at the helm. I got very short shrift when I commiserated with his missus after Hartpury's win against them back in the autumn! Cov are very determined to do the business and soon. Until recently Hartpury did have the relative comfort of Yorkshire below them. However, the end of the domestic season in New Zealand saw 8 players being signed by Yorkshire on a playing budget for half a season allegedly for more than Hartpury go through for a full squad in a full season. When previously Yorkshire couldn't buy a win, they just did. That said I understand there are some reinforcements on their way at Hartpury, one of whom might be quite a big surprise. No excuse but they have been ferociously unlucky with injuries, not least with Rupert Harden suffering a fractured skull a couple of matches ago. RTS2 25 Jan 2019 19:40 pm said..
Great summary of the situation . I've only watched two matches at Hartpury this season so not in any position to add much . They are punching well above their weight , and if they do get relegated I'm certain they will bounce back again , although National One is a very competitive division . Cinderford are holding up pretty well this season and can see them finishing in the top 7 . 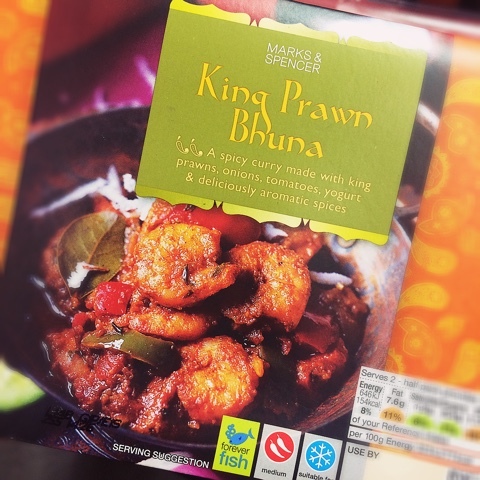 King Prawn Bhuna 26 Jan 2019 13:52 pm said.. Thanks Vern Venn. So it’s more like the rest have upped their game and Hartpury have stood still then. Cov seem financially sound and it’s a 3/5 year expansion plan with no great urgency to hit the premiership but there a viable plans for ground development and investment. If your or anyone is up in Coventry for the game in a couple of weeks let us know and I’m sure Covglaws and myself will introduce you to the delights of the Broomfield Tavern prematch. ...also very sad to hear that RH had a fractured skull it didn’t make the general noise on Shedweb. covglaws 28 Jan 2019 10:16 am said..
King Prawn Bhuna wrote: If your or anyone is up in Coventry for the game in a couple of weeks let us know and I’m sure Covglaws and myself will introduce you to the delights of the Broomfield Tavern prematch. Nick Walsh, not the only familiar face here either. David Halifanuia and Darren Daiwidiuk plus Andy Bulamaku who played a few sevens for Gaws. Jack Preese was in Glaws academy too. Saint 30 Jan 2019 08:47 am said..
A challenging season with some senior players missing most of it due to injury, Oakley, Langley and Leonard. Some incoming players not living up to expectations but most worrying has been the lack of Gloucester support, appears at time that Bristol and Worcester are more interested! The positive has been the impressive way younger players have developed such as Pashley and Leeming. It's not over yet! Sheddy Mcshedface 30 Jan 2019 13:05 pm said..
Saint wrote: A challenging season with some senior players missing most of it due to injury, Oakley, Langley and Leonard. Some incoming players not living up to expectations but most worrying has been the lack of Gloucester support, appears at time that Bristol and Worcester are more interested! The positive has been the impressive way younger players have developed such as Pashley and Leeming. It's not over yet! Given some of our injury woes can you blame us? Perhaps you would have had the chance to see some of Knight, Seville or Walker had our front row not been struggling or maybe the likes of Will Safe could have turned out had he not ended up on the sidelines for an extended period. What_a_flanker 06 Feb 2019 10:19 am said.. There is no question that the (relatively) small squad size at Glaws, allied to a big injury list, has had a big impact on what Pury might have expected in terms of support this season. Considering that the Hartpury scrum-halves, for instance, in the past 2-4 seasons have largely been Vellacott and Randall (or occasionally Braley) will give you some idea of what has been missing. No doubt injuries have played a big part, but as previous posters have mentioned, Hartpury has a tiny payroll compared to just about every other Championship club - the other exception being Richmond who also make up the bottom two. Hartpury's main role, in rugby terms, is all about player development. The good news is that this shows no signs of slowing up!